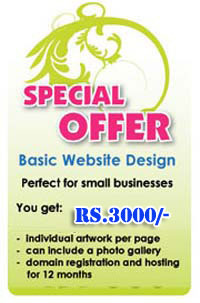 Special offers to get your business online. We know that times are tough, especially if you are just starting up. A good website can improve your business a great deal as can a good logo and corporate ID. We are therefore offering some business start up packages for those people who do not have a website and just want to get out there.